This is a photograph of a turkey we cooked and then used a wood burner to create the Purgatory Logo on the outside of it prior to serving. 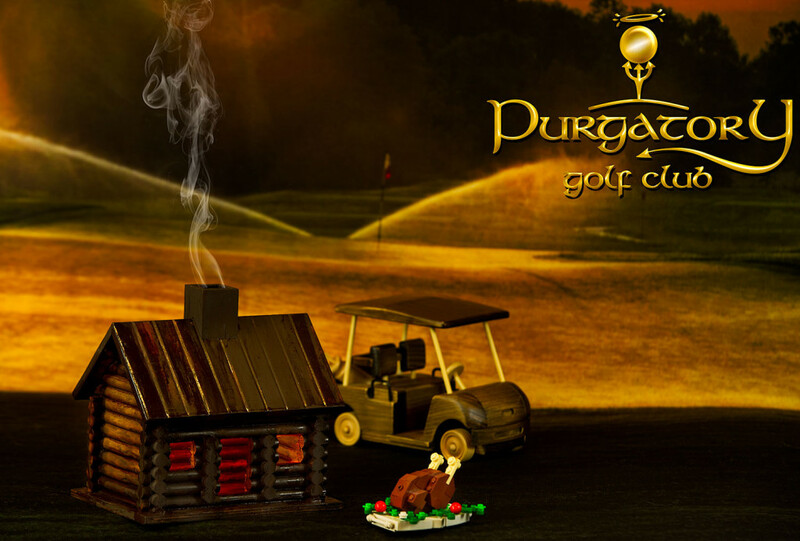 Behind the turkey is a backdrop of the 3th hole at Purgatory just after sunrise. We also did another photo shoot for Instagram. 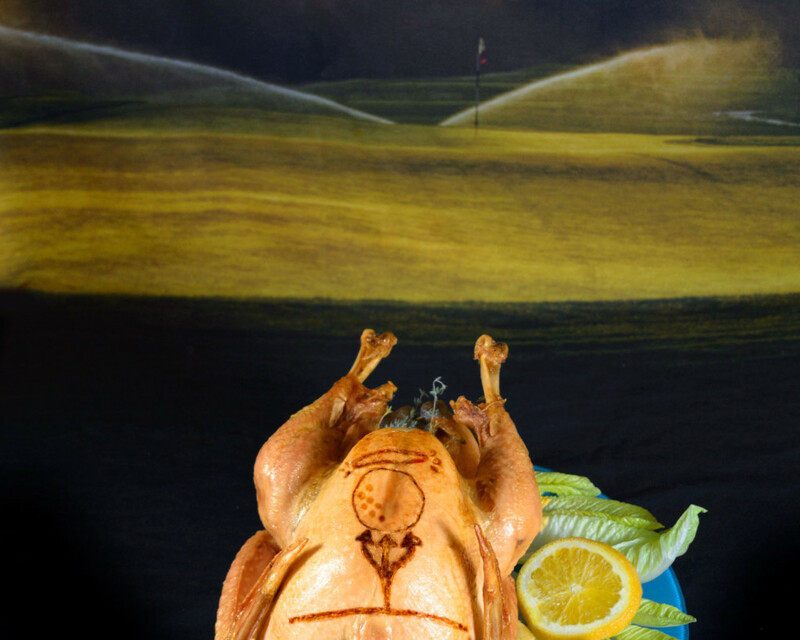 In this image, we have the 3rd hole in the background, a Lego turkey, yes, that’s right it is a turkey made from Legos. I purchased it from http://powerpig.storenvy.com, crazy name, but the creator (http://chrismcveigh.com) is a Lego genius. I lined the chimney of the tiny house with tin foil, and place burning incense in it. I put burning tea lights in the log cabin and the wooden golf cart Mike had in his office. Here are some behind the scenes shots, because photographers take pictures of the pictures we’re getting ready to take. Crazy I know, but fun. 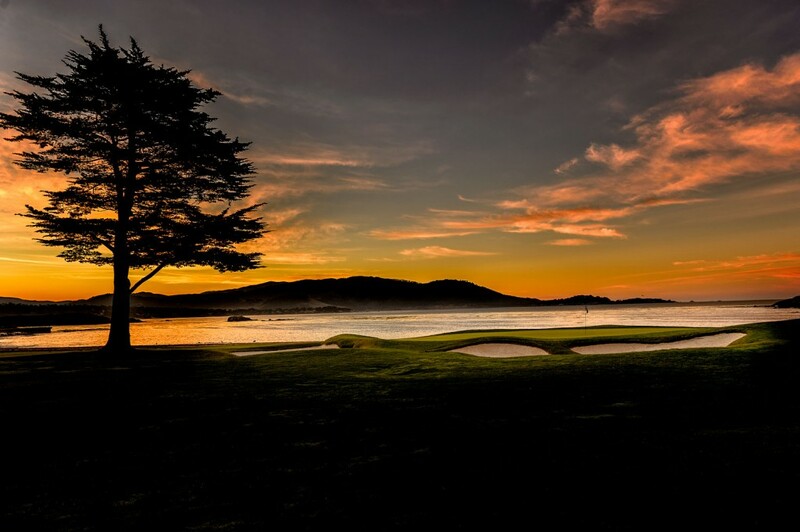 Can you name this famous golf course and hole number? We’ll tell you on Tuesday at 12:00 Indiana time. In lesson 3, Mike continues refining Tony’s Elbow Drill to ensure he continues proper posture and pivot. Watch and follow along, and you, too, can change your golf game.